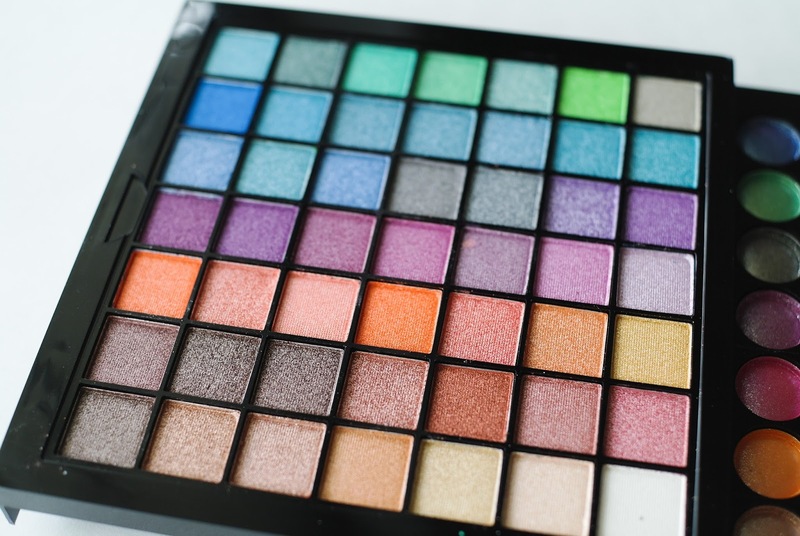 Bookish Lifestyle: Beauty Review: Ivation All-in-One Makeup Kit Gift Set - For those who like their makeup all in one place! 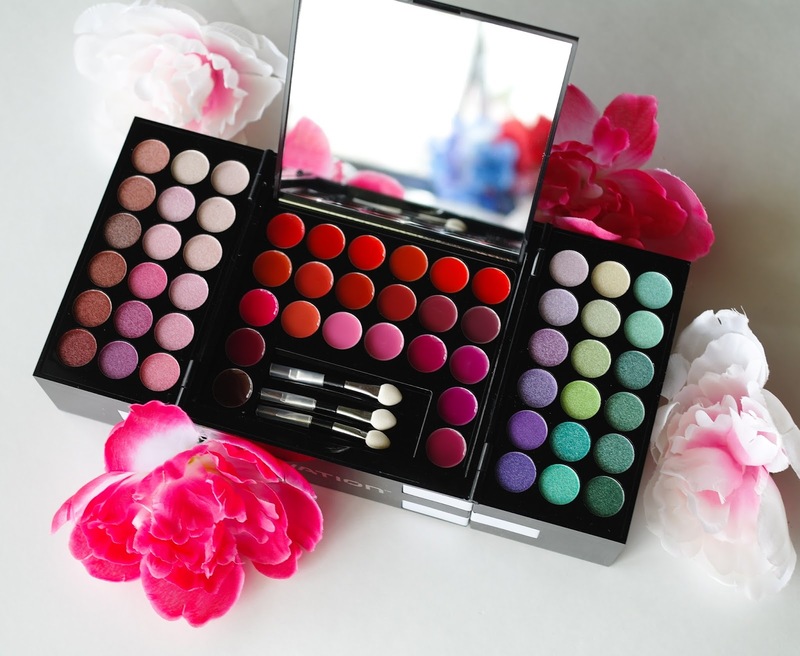 Beauty Review: Ivation All-in-One Makeup Kit Gift Set - For those who like their makeup all in one place! 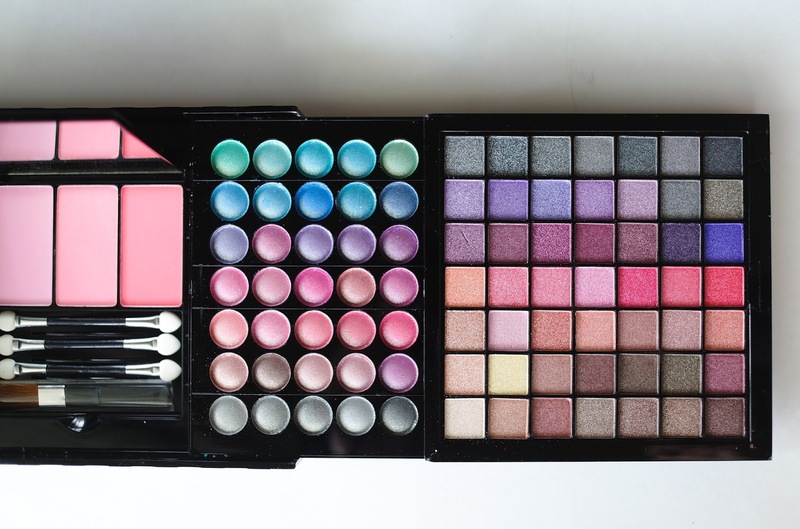 Basically, this is an exact dupe for SHANY 2012 Edition All In One Harmony Makeup Kit. 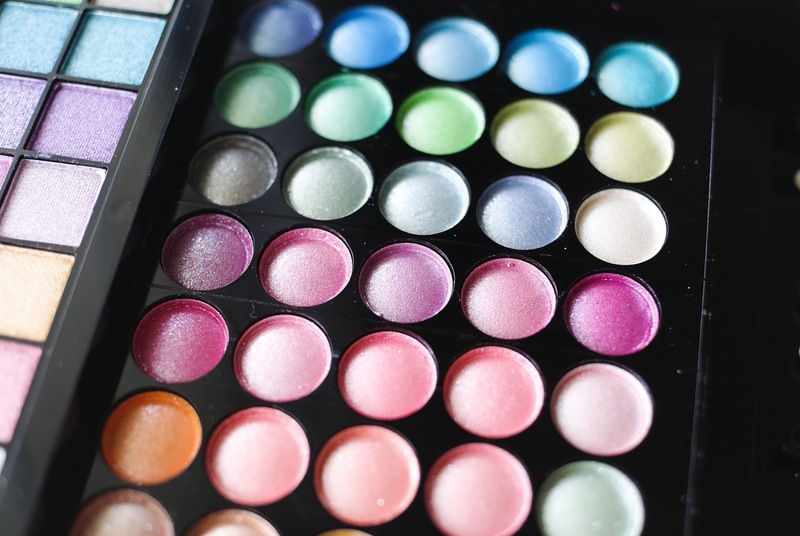 The shimmery/glossy eye shadows are quite similar in quality to Coastal Scents 88 Ultra Shimmer palette or any drug store brand, like Miss Sporty or Cover Girl. I've been using this kit for over a week now and have no complaints at all. In all honest, I am kind of in love with the fact that I have almost everything I need in one place. 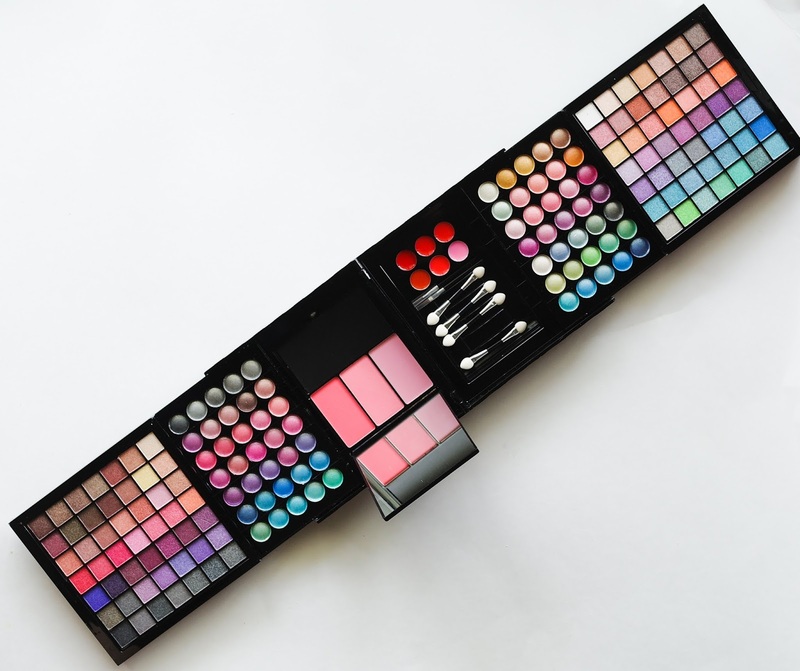 I think this is a great make-up kit for beginners or make-up artists on-the-go. 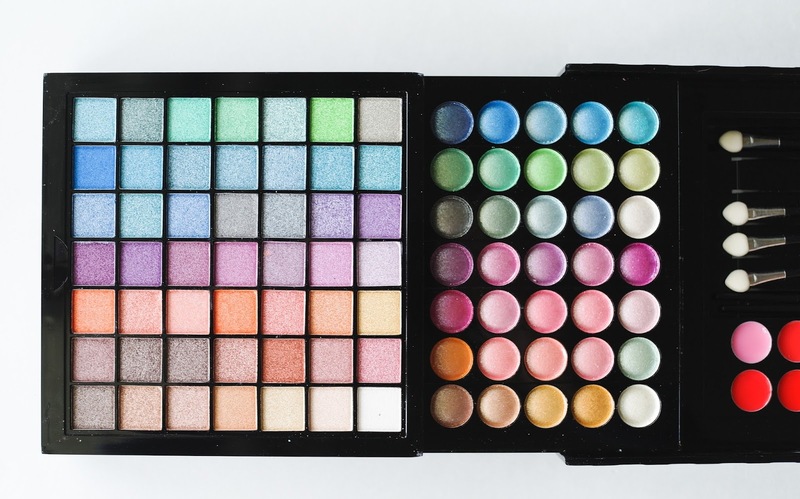 All the eye shadows are nicely pigmented and the variety of colors gives you plenty of possibilities. There aren't any extreme colors in these two palettes, these are more earthy and natural looking shades and they blend in nicely. I didn't notice any creasing, but I do always use eye shadow primer, so can't tell you how they stay on without it. 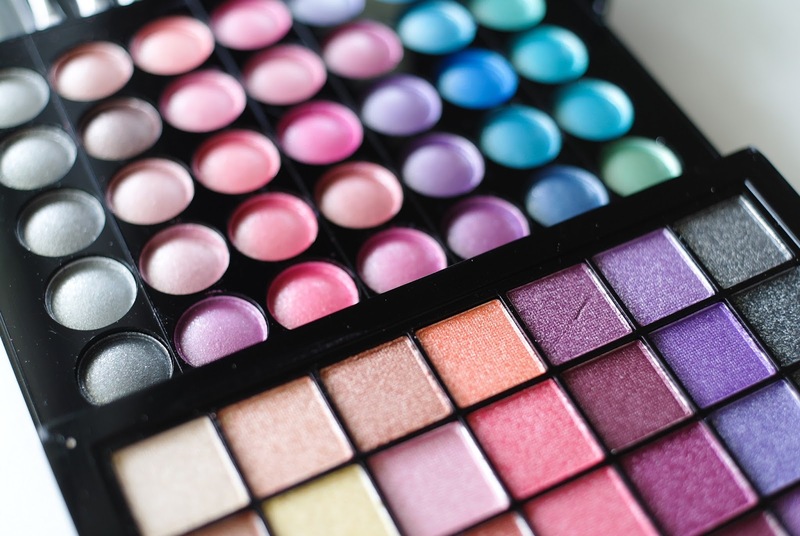 The lip glosses compliment the eye make-up you can achieve with these eye shadows very nicely. There are two reds (bright red and deep red), pale pink, shimmer bronze, terracotta and kind of a peachy one. The blushes are really pretty. 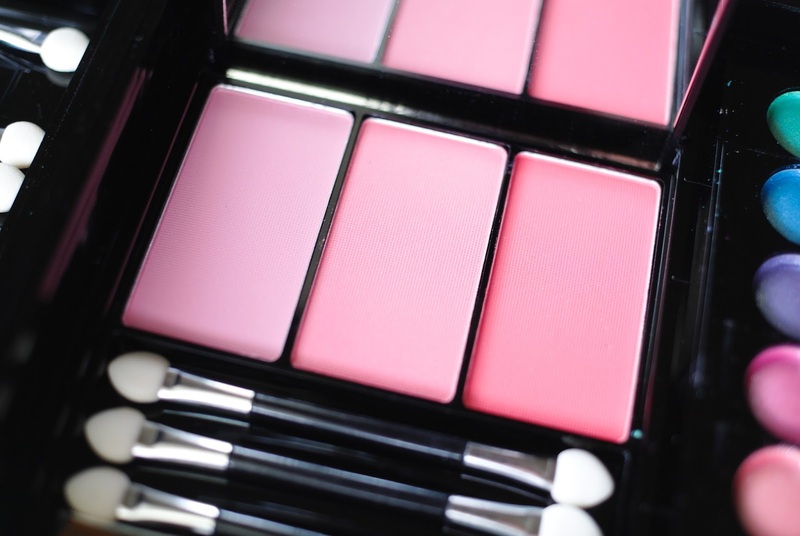 There is a pale matte pink that would go nicely with a smoky eye look, vibrant shimmer pink and a matte peachy one. I particularly like the peachy one, it gives my cheeks this healthy, natural glow. 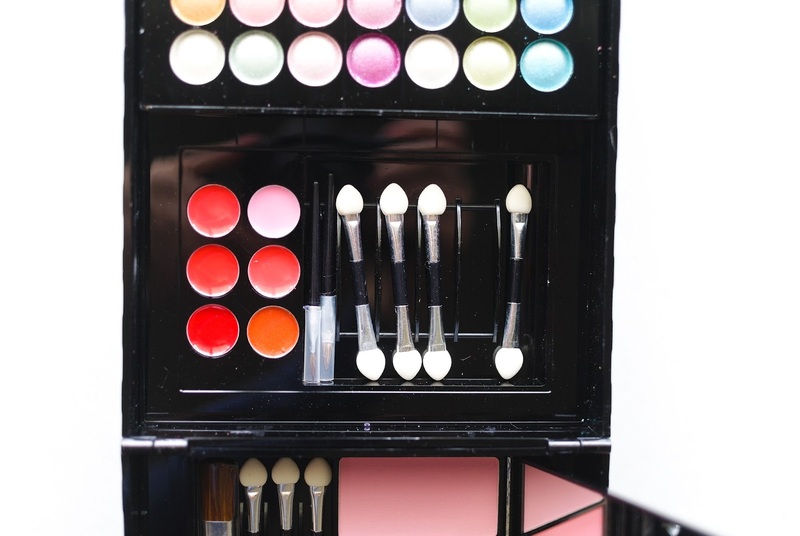 The brushes and applicators included in this kit are very basic ones and I think most people will prefer to use their own make up brushes instead. Still, it's nice to have these as a back-up for a quick fix on-the-go. Overall, I am quite impressed with the quality of the cosmetics included in this box. The packaging is very nice, too, and the kit would make a great gift for both younger girls and adult women. Disclosure: I received a complimentary review sample.This did not affect my opinion in any way.